Osteoporosis, which literally means “porous bone,” is a disease that reduces the density and quality of bone. Osteoporosis is a progressively common pathological condition of bones affecting more than 200 million individuals worldwide, affecting every one-third of women and one-fifth of men on this planet. Bone is a dynamic organ with continuous cycles of bone-remodeling due to the active interaction between bone-forming cells, called “osteoblasts,” and bone-eating cells called as “osteoclasts.” For people with osteoporosis, bone loss outpaces the growth of new bone, leading to bones becoming porous, brittle, and prone to fracture. As bones become more porous and fragile, the risk of fracture increases. According to the International Osteoporosis Foundation, an osteoporotic fracture is estimated to occur every 3 seconds around the world. The loss of bone occurs silently and progressively, thus, osteoporosis is often termed as a “Silent-Killer,” since no symptoms appear until the first fracture occurs, the prime cause for increased morbidity and mortality. Osteoporosis takes a heavy toll on the economy, with an estimated burden of USD 131.5 billion worldwide by 2050. Osteoporosis-mediated bone loss is affected by various environmental factors, including diet, age, drugs, toxins etc. The emergence of the novel field of “Osteoimmunology,” dealing with the intricate interplay between both immune and bone system, is responsible for maintaining bone health. Interestingly, the immune system plays a pivotal role in this bone-remodeling phenomenon, with T helper cells (adaptive immunity) playing a nodal role in regulating bone health. 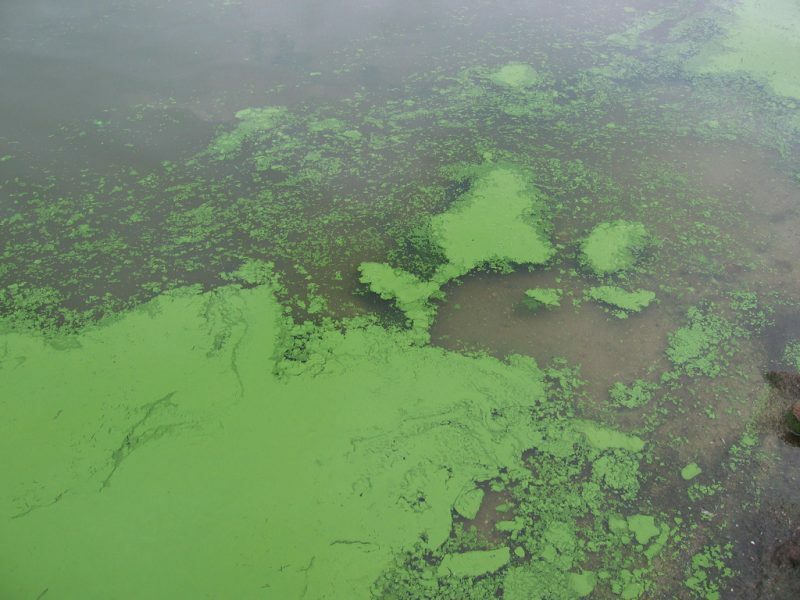 Cyanobacteria (CB) are a group of photoautotrophic bacteria occurring in fresh and brackish water bodies. Due to the interference of severe anthropological activities, including global warming, they are now a menace, polluting waters across the world. Different cyanobacterial toxins have been implicated with serious health issues worldwide due to the production of various bioactive and toxic metabolites, especially microcystins (MCs), which are toxic to living organisms, including humans. Drinking contaminated water or consuming foods containing cyanotoxins (freshwater fish, vegetables etc.) are other ways through which humans get infested. The effect of CBs on human health is more dreadful, as many edible coastal foods (fish, crustaceans and mussels etc.) are not routinely checked for these cyanotoxins, thereby making their way directly to humans. With the increasing accumulation of cyanotoxins at various environmental levels, they now seem to be affecting both human and livestock health with serious implications on the world economy. Chronic exposure to low cyanotoxin levels is one of the most important factors affecting human health in general. There are presently more than 90 microcystin isoforms, and among them, microcystin-leucine arginine (MC-LR) is the most potent and abundant variety of microcystin. MCs are found in every part of the world, except in the Antarctic region, and its toxicity has been reported in nearly 80 countries. MC-LR has been designated by International Agency for Research on Cancer as a potent carcinogen. MC-LR is also reported to be a well-known hepatotoxin and is the main culprit for causing serious organ damage, as evidenced by various MC-LR associated gastrointestinal disorders, reproductive toxicity, immune and kidney impairment. According to the World Health Organization (WHO), only 1mg/L of MC-LR is admissible, but the concentration of microcystins in present-day water bodies is many times beyond the recommended guidelines. Researchers from the All India Institute of Medical Sciences, New Delhi, for the first time have reported that MC-LR infestation induces bone loss, thereby impairing bone-microarchitecture (responsible for enhanced fracture rates) by tweaking the population of both T and B lymphocytes in mice. They report that MC-LR significantly enhances bone loss by increasing the percentage of bone-loss promoting CD4+ T helper cells (osteoclastogenic) while simultaneously decreasing the population of bone-loss inhibiting CD8+ T cells and B cells (anti-osteoclastogenic) in vivo. This effect of MC-LR is mediated by decreased levels of anti-osteoclastogenic cytokines (IL-10 and IFNγ) with a concomitant increase in the levels of osteoclastogenic cytokines (IL-6, IL-17, RANKL and TNF-α), thereby leading to enhanced bone loss in MC-LR treated mice. Their study is pioneering in the field, which for the first time demonstrates the direct effect of MC-LR on bone health via affecting the host osteo-immune system. The researchers thus have established for the first time a causal link between MC-LR toxicity and bone loss. The study highlights the risk associated with intake of MC-LR contaminated water and food not only to our immune system but also to our bones. The study thus gives a strong impetus to the naïve field of “osteo-toxicology” for dissecting the effects of various toxins (including cyanotoxins) on bone health. With rising global temperatures and resultant algal blooms worldwide, we are now at an ever-higher risk of developing cyanotoxin mediated bone complications in both the present and immediate future. Thus, future research in this very important field is needed to better understand and dissect the nexus and role of various cyanotoxins (to which we are already exposed to) with respect to our bone health. These focused studies will help us to better design both preventive and therapeutic strategies to effectively counter the side effects of cyanotoxins mediated toxicity on human health (including bone health). These findings are described in the article entitled, Microcystin-leucine arginine (MC-LR) induces bone loss and impairs bone micro-architecture by modulating host immunity in mice: Implications for bone health, recently published in the journal Environmental Pollution. This work was conducted by Hamid Y. Dar, Yaqoob Lone, and Raj Kumar Koiri from Dr. Harisingh Gour Central University, Pradyumna K. Mishra from the ICMR-National Institute for Research in Environmental Health, and Rupesh K. Srivastava from All India Institute of Medical Sciences in New Delhi, India.